They recently uploaded the video so I thought I’d make a blog post to show it on my own website! Hey everyone! Just a quick blog post to tell you all about the upcoming Can Jam at The University Of Lincoln. It’s a 24 hour long game jam ran by students and staff at the university for the glory of game-making students everywhere! It’s going to be starting on the 8th of March at 9:00am and any UK student with a valid form of identity is welcome to come along to participate. 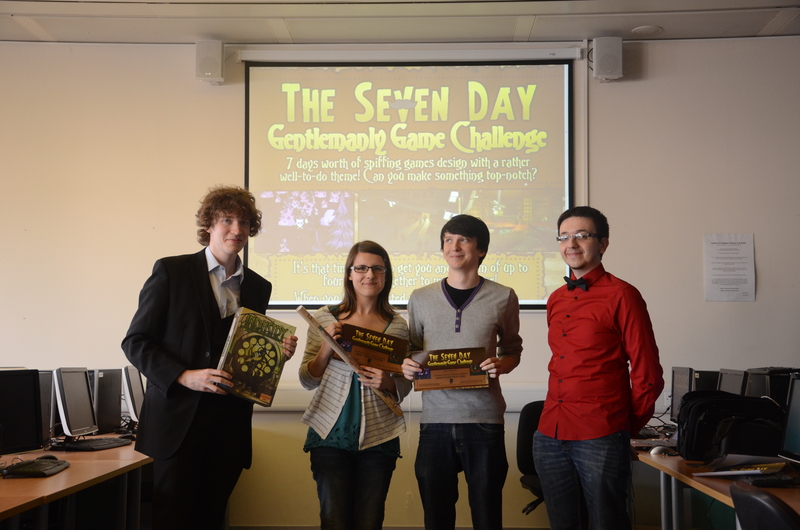 We’re really hoping that you’ll be able to come along and make games with like-minded people. If it’s anything like the last three it’ll be an awesome event. I will be there helping out and providing people with my homespun brand of passionate encouragement (until about 3am – then you’ll have to deal with grumpy Sean). There will be people coming from both Crytek GmbH and Rockstar for the judging so it’s a great opportunity to network and show off your skills! You can sign up here! There’s only a limited number of places so make sure to grab a ticket quickly! Also feel free to share the details with anyone or anything you might think will be interested. *I have literally no idea how fancy it is right now. But I can only assume it’s going to be pretty fancy. I’ve been a little busy recently so I didn’t get chance to write a round-up for either the Gentlemanly Game Challenge OR the Scare Jam. Yes, I know it’s been a while since both of them… quite a while – but I don’t care! It’s time to round them up and discuss how they went! 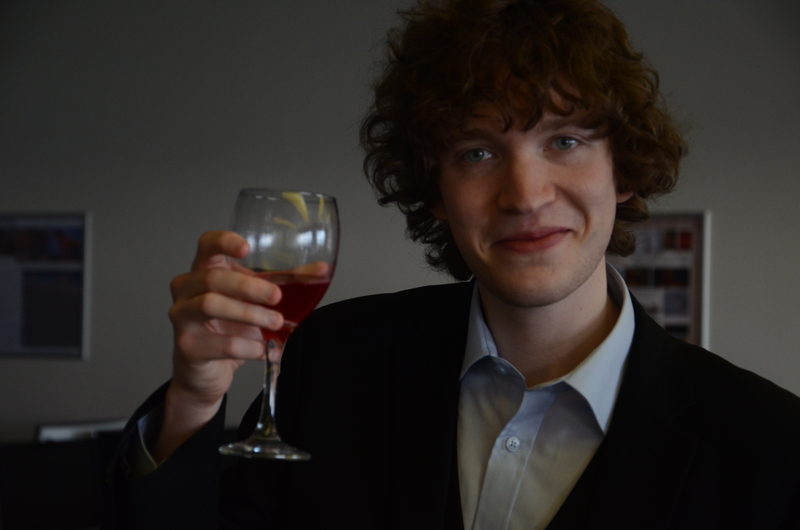 Grab a glass of wine substitute (grape juice) and enjoy my game jam round up! Cheers! 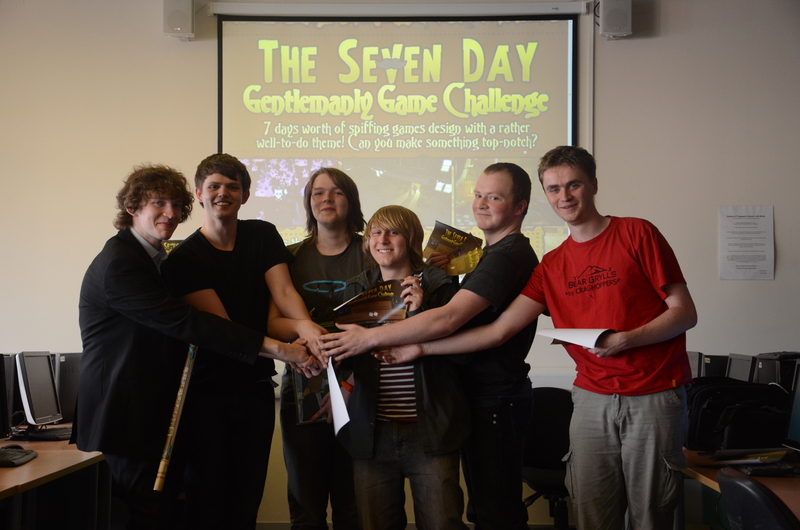 So I’ll start with the Seven Day Gentlemanly Game Challenge. 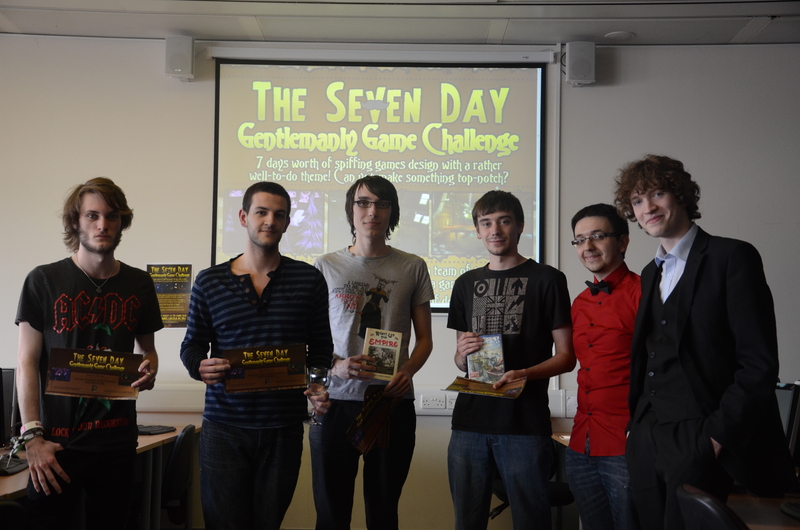 It was interesting to see what people took from the idea of ‘Gentlemanly’ as a theme. There was a whole lot of steampunk stuff – which I approve of, however I’m still not sure if steampunk always equates to gentlemanly or the vice versa. We had a nice array of games. Team Noname (Now known as Volatile Element) made a cool RTS game in Unity. Kieran Hicks (who is now working with me on Hastag Dungeon) made a game in which you play a hobo who must rise through the ranks in order to get into the country club. There were some really juicy ideas in the game entitled ‘Monoculus Rift’ which placed the player in a retro environment as seen through a fancy monocle. The Scare Jam was awesome. I can’t believe how many people turned up to make games. I was so impressed by the turnout from every year of the computing courses at Lincoln. All the games were pretty well done too and there was a great deal of variety among them. I’m not entirely sure why I chose to do a game jam based on scary games since i’m a very jumpy person myself. This was particularly evident when I jumped halfway across the room when playing one of the games. Alex Saye won the prize for the overall best use of mechanics for his game “14565” where you play a blindfolded person attempting to escape from a terrifying monster. Its lack of visuals and reliance on sound really made for a great experience as your imagination fills in all the blanks and makes it far more terrifying. You can download it here. Wear headphones. Kieran Hicks received the award for scariest game. 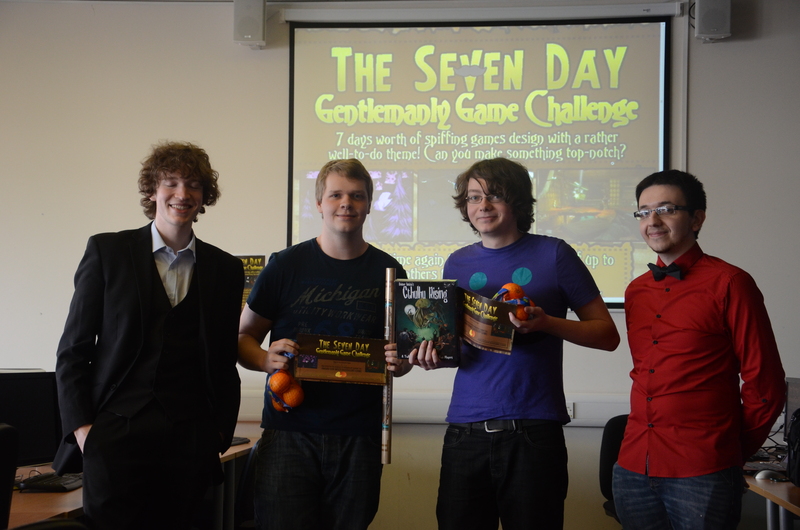 His 3D Gamemaker maze game pushed the boundaries of what most of the judges thought could be done in the software. Plenty of jump scares all around. Team Volatile Element gained the final award for most interesting use of the theme for their game “Child’s Whisper” for the Oculus Rift. It was a surreal and spooky experience that had the player controlling their right and left eyes with a controller. Duncan Rowland gave out a special award for a game developed using the Mindwave. This game tried to gauge the players stress levels in order to change the environment around them. It was a very interesting insight into getting the Mindwave hardware integrated with Unity. 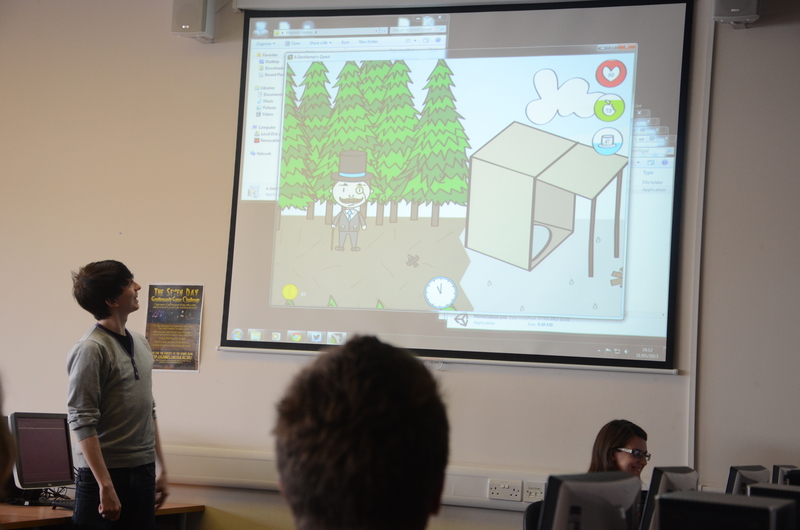 As with all the game jams I’ve ran at Lincoln i’m always impressed at the creativity and skill the students have. It’s great to see people who are passionate making games and I love to give them opportunities to just make games for the hell of it. It’s my hope that at least one or two of the games will be developed further after the jams are done – there’s definitely a few gems that deserve the attention of the gaming public! Boo! So it’s time for the first of my many little game jams that I’m going to be running at the University of Lincoln! Since it’s Halloween soon I thought it might make sense to make it a spooky-themed scary game jam of occult hi-jinks! 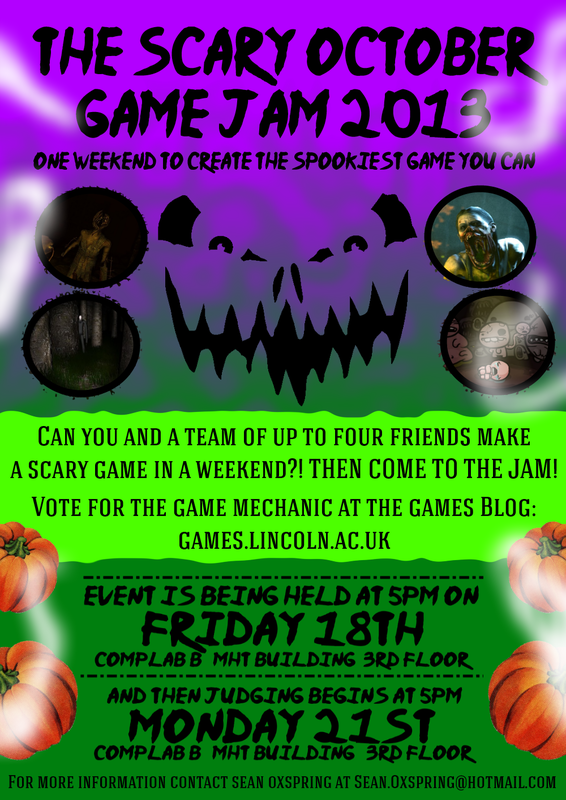 So ‘The Scary October Jam’ will be coming this Friday (18th October) to the University of Lincoln. I’ll be starting it at around 5pm and it’ll be finishing 72 hours later on the Monday! Anyone at the university is welcome to come along, we’d like to see as many first year games students there as possible – you can use the weekend as a crash course in GameMaker! Let’s make some games that make people jump. Make games with all those creepy things that go bump in the night. Make something terrifying that’ll terrify the judges! You can come in a team of up to five people. The event will be in Computer Lab B on the top floor of the MHT building. Don’t be afraid to ask me some questions about it: if you want some more information on the jam then send me an email or drop me a message on Twitter. This week I have developed a rather nasty case of flu. A particularly devilish strain of flu that just happened to seemingly know that this week was the one week I wanted to be firing on all cylinders! As I write this post I’m bed-ridden and shaking like a leaf, but my condition is definitely improving so I should be better for just before Christmas. On Monday I travelled down to Wolverhampton to stay overnight for a teaching event on Tuesday at Highfields School, normally I’d take an early train down on the morning of the event, but to ensure I’d get a better nights sleep my boss booked me a hotel! I was really looking forward to a relaxing night’s sleep… but that’s when the flu kicked in. Whoops. I wasn’t exactly running on all cylinders when I got to the school, but I was still taken aback by the sheer awesomeness that surrounded me there. There were no corridors in the school… all the classrooms were wonderfully open-plan and there were canteens and seating areas on every floor. I was incredibly jealous – all the students had access to a cyber-café and had been given free laptops to do their work on. Their product design department had a 3D printer AND a laser cutter – sheer bloody madness! We then proceeded to start work on the LEGO event for the day – two guys from LEGO Education came in to run the event and I was tasked with aiding the students with anything they needed help with. They were tasked with making robots to do specific challenges as part of the “Green City Challenge” pack, which has several different engineering problems incorporated into it – pushing, lifting and carrying being the main three that were tackled during the day. It was good to work with LEGO during the day, I’d not used Mindstorms equipment in years so I was a little rusty. But it’s really easy to pick up and the kids took to it like a duck to water. They didn’t need much help and really got into it once they understood the basic principals of moving the motors on their robot. It was an awesome day apart from feeling really crumby in the physical well-being department. The bug had eluded me for ages until last night when my girlfriend pointed it out to me when I was grumbling through my array of indices: I’d accidentally skipped a few numbers in the array… Whoops! So after changing that I can now declare proudly that my project is now progressing nicely again! I’ll be doing another post about my current final-year project progress as and when I have my model completed and working reasonably well. Also… today is the start of the Steam Christmas Sale… may we all be blessed by Gaben’s great deals.